Creating a website that gives its visitors exactly what they are looking for is not that easy. It often involves a certain amount of trial and error, the use of analytics, and other approaches. Sometimes, the difficulties you experience in your work to please visitors are not what you think. It happens that they are not based on the website’s content and functionality. These difficulties might be based on content and/or functionality that isn’t there. That’s where these 10 Top WordPress Plugins come in. As far as adding important information or functionality is concerned, they deliver. They make the “difficult or nearly impossible” easy. They enable you to provide an outstanding UX, as opposed to a UX that is just “OK”. Moreover, they can save you hours of head-scratching, coding, and trial and error as well. Picking one or more will be money well spent (some are free, others offer free trial periods). This is a win-win situation for you and your website visitors. There are more than a few things to like about wpDataTables, but they can be summed up in a few words. This WordPress plugin makes it possible to create charts and tables from large amounts of complex data in a short period of time. The charts and tables are easy to understand, easy to update and maintain, responsive, and colorful when color can serve a useful and practical purpose. wpDataTables has become so widely used, and so popular, that web designers have been known to make the switch to WordPress just so they can use this plugin in their design work. If you aren’t already a WordPress user, there’s no better time to start than the present. Also, there’s no better way to get started than with one or more of the WordPress themes described here. WordPress is the most popular CMS and website-building platform in the business. The types of websites you can build are virtually limitless. As far as the themes are concerned, most demos can be imported. Thus, the layout and structure of your site will match that of the demo you select. Since they are customizable, you have control over what you elect to create. Check out these 12 top themes. You’ll find one or more of them more than useful in making your next site a world-class site. Hestia is a free multipurpose theme that you can use to build anything visually. A Pro version is also available, but this free version will get you off to a sizzling start in 2018. Hestia is based on material design principles. Its layout is built to look like a single page, which makes navigation much easier for designers and users alike. As for the trendy Material Design concept, your websites will create lasting first impressions, not only in terms of attractiveness, but also in terms of structure. Hestia was named after the Greek goddess of architecture, who had something to say about things being arranged in their proper order. Hestia is responsive, WooCommerce compatible, SEO friendly, and is compatible with drag and drop content builders. Hestia also supports WordPress’ live customizer feature; when you make changes, you’ll be able to see them in real time in the same window, without needing to save and refresh. Have you been struggling with bouts of procrastination and lack of focus? Maybe it appears hard for you to find a way to make some positive changes in your work habits? Then take heart! It’s not as difficult as you might have been led to believe. It is possible to make some changes in your work habits that are easy to implement. In addition, they won’t require you to turn your lifestyle upside down. There’s certainly no shortage of advice on the subject. Yet, a productivity hack that works for one person, doesn’t always work for the next. It can be like dieting. You lose a few pounds, only to eventually gain them back – plus a few extra! It doesn’t have to be like that. Here are 3 easy techniques that should work for anyone. You can start putting them into practice today. You should start to experience some positive productivity changes almost immediately! Let’s start with Be Theme, a premium multipurpose WordPress theme. It features the largest gallery of pre-built websites in the market. Using Be Theme as your primary web building tool will save you time in so many ways. We believe that time saved is productivity gained. Be’s 300+ pre-built website themes cover all the common website niches. It only takes a few minutes, at most, to find a theme to match a client’s needs, and but a single click to install it. You haven’t yet started building your website, and you’re already saving time! Having done that, Be Theme’s powerful core features and web-building tools come into play. There’s Muffin Builder, Be’s premium page builder/editor and an Admin Panel. The latter provides you with all the design flexibility you’ll ever need. There are also shortcodes, so you won’t have to write a line of code on your own. You can have a customized, responsive website up and running in as little as 4 hours. More time saved! Just imagine – you’re presented with an opportunity to preview thousands of font types. 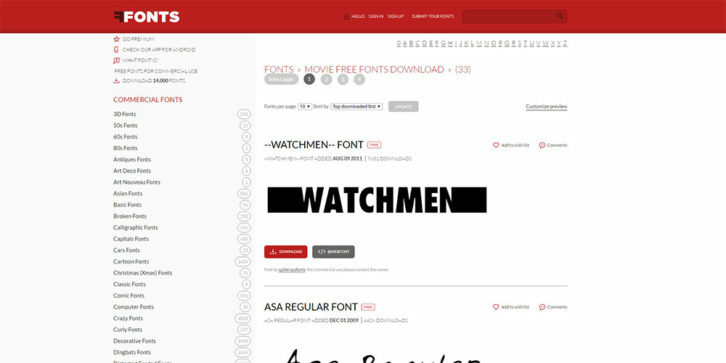 You can select and download up to 50 free fonts per day. You’ve got to be wondering what the catch is. There is none, aside from a 50 font type limit. If you need to download a higher number per day there is a fee, but it’s not very much. More about that later; so, let’s stick to what you can do for free to begin with. All you need to do is to go to FFonts.net, where you can search for a specific font, or find one that’s potentially useful. Once you’ve found a font, FFonts will provide you with a string of text. Like this, you can see what it will look like if you put it to practical use. There’s no limit to the number of themes on the market you can use to build attractive websites. Searching for the best one for a given business or client can be a time waster, however. You need to use a responsive theme. Otherwise, you’ll soon discover that having a website that’s merely attractive isn’t enough. Any attractive, well-structured website can draw traffic. Consider, however, that over half of that traffic consists of mobile device users. If your website isn’t responsive, those users aren’t likely to stick around for more than a few seconds. Creating a responsive site is not a problem on WordPress. This is especially the case when you’re using a responsive WordPress theme to get the job done. It gets even easier if you’re using one of the following best-selling ThemeForest themes. Check them out. Any one of these themes can help you get your 2018 web design activities off to a blazing start. Any difficulties you may have encountered in trying to find the right theme for a given project will be history once you select Be Theme as your WordPress theme. This top-of-the-line multipurpose theme is responsive, requires no coding, and provides you with what you need to build websites that perform superbly on PC’s, tablets, laptops, and mobile devices. Be Theme’s collection of 300+ professionally-designed and customizable pre-built websites cover more than 30 different business niches, ranging from creative to corporate, cars to cuisine, and everything in between. There are templates for one-page websites, blogs, and online stores and shops. Any pre-built website you select can be installed with a single click, after which you’re off to the races. Be’s 40 core features include the easy-to-work-with Muffin Builder page builder and editor, an Options Panel that gives you virtually unlimited flexibility, a Layouts Configurator, sliders, shortcode and design element libraries, special effects such as parallax and video, and more. 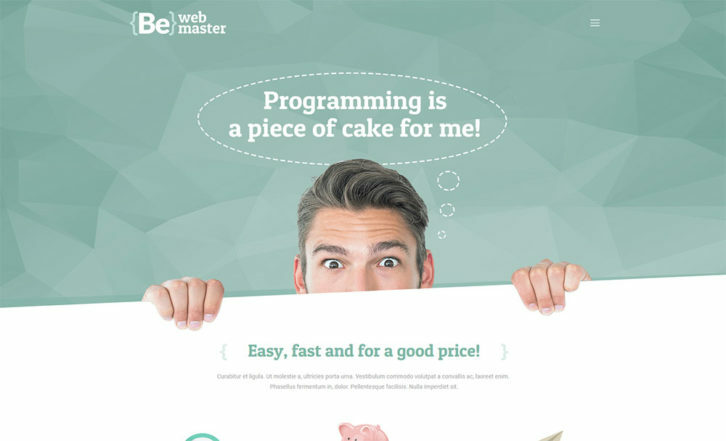 Be is an excellent choice if a premium multipurpose theme is on your wish list. Kalium, the highest rated among ThemeForest’s top themes, makes it easy for you to create an awesome website, build a successful online store, or put together an appealing blog; and do so in hours, if not minutes. 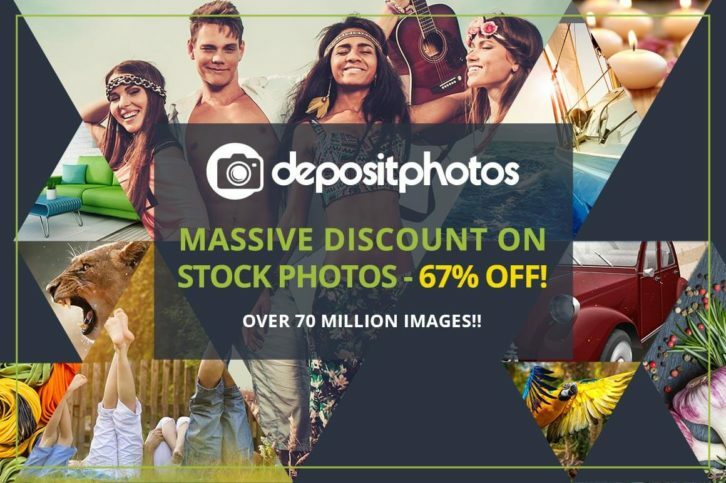 This award winning, modern, multipurpose theme is loaded with layouts and demo sites, along with a whole host of useful design elements and shortcodes to work with. You won’t have to rely on any coding skills either, since the necessary coding activities are already taken care of. All you need to bring to the table are your ideas, and a vision of what it is you want to accomplish. The usual design process involves the tasks designers love doing. However, it also contains tedious and time-consuming tasks are essential. Rapid prototyping, for example, can be fun and exciting. Yet, maintaining version control while doing so, may be looked upon as a chore that one must simply put up with. Fortunately, there’s a wealth of apps available to assist designers in virtually every aspect of their work – with the fun stuff, and the not-so-fun stuff as well. Apps can be great time savers, and web apps can often be even greater time savers. They require no installation, and their updates and maintenance are managed by others. Plus, you can use them with almost any platform and access them on any device. Being able to find new clients is important, and it’s not always easy. For one thing, you must be prepared. For another, there’s the competition to deal with. You can’t control what your competitors are doing. In fact, you probably don’t have a clue to whatever strategies they might be employing. There is something you can do to find more and better clients, however. There are, in fact, three important strategies you can follow. Put them all together, and you can leave your competitors in the dust. Or, if you already have one, make it even better. Having a website that you can call your own is the best way to showcase your design skills and capabilities. It must, of course, include an eye-catching and engaging gallery or portfolio. A stunning portfolio won’t necessarily be enough, however. The key to bringing in new clients lies in the website itself. Your creative website needs to provide a UX that will blow visitors away. Too many creatives simply slap a website together and rely on their portfolio to reel in clients. Guess who they’ll choose to build it. Doing what’s needed isn’t all that complicated. It simply involves using high-quality pre-build websites to base your designs on. Be Theme has a ton of them (280+ to be exact). You’ve worked hard to transform your design concept into a finished design for an app or website. Yet, there is an obstacle between handing over the final design and product launch. It’s called “development”; a task that very few web designers are willing, or indeed able, to take on. Fortunately, there are some great design to code services that can bring your design to life. The very best of these services are, as you would expect, fewer in number. PSDgator can create any type of WordPress theme, or modify, enhance, re-slice, and re-design any WordPress site; whether it is an old one or a new one. Once they have your design in hand, they’ll review it, discuss the features you need, and create a complete theme based on your specifications. They can accept PSD, Sketch, and AI design files, and convert them to hand-coded, SEO optimized, and responsive HTML5/CSS3 markup. They will even accept PDF design files. They can, in fact,do whatever development work you need from just about any design format you submit. The green gator team will also be more than happy to build a WordPress plugin for you based on your specifications, or enhance an existing one.